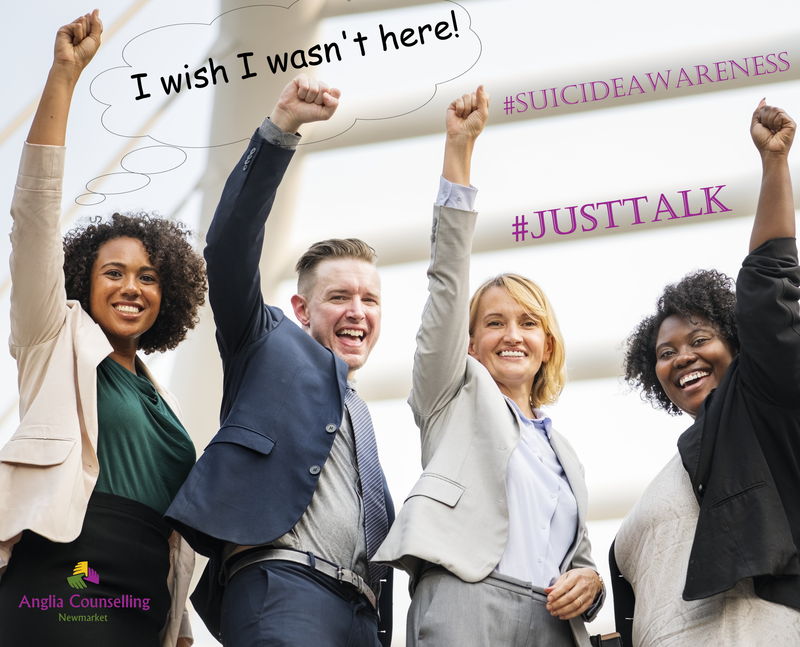 Suicide: A Permanent Fix to a Temporary Problem #JustTalk - Anglia Counselling Ltd.
Because we all still need to make further attempts to end the stigma, I’m going to demonstrate that it is safe to share, to talk, and there is no shame necessary. * May contain triggering subject matter. My first personal experience of suicide, in any context, was when I was suffering my first bout of depression. I was 20 years old, and had no real idea why I was depressed. Just ‘why’ I was depressed became clear only as I matured and had gained greater insight into my life narrative; the traumas and conditioning by caregivers and ‘educators’. Talking to my doctor – and then a counsellor – helped me navigate through that episode. Like you and I, people don’t always outwardly show how desperate they can be within a very short period of apparently usual behaviours. People feeling overwhelmed, and perhaps suicidal, DO NOT always look unwell! To ‘find peace’, we would have to know this – after our demise! To reduce the ‘burden’ to others… Well, there is ALWAYS someone who believes we are worthy, of value and have a purpose. There is always someone who loves or cares about us in some way. After a second short but powerful moment of suicidal ideation following the separation from my first two sons and my first wife, I now realise (upon reflection) that the emotions I was experiencing were so devastatingly powerful, that suicide felt a sensible solution to what I now appreciate was a temporary state. Luckily, my estranged wife recognised the change in my demeanour and encouraged me to talk. She wouldn’t necessarily know this but she may well have saved my life that day. 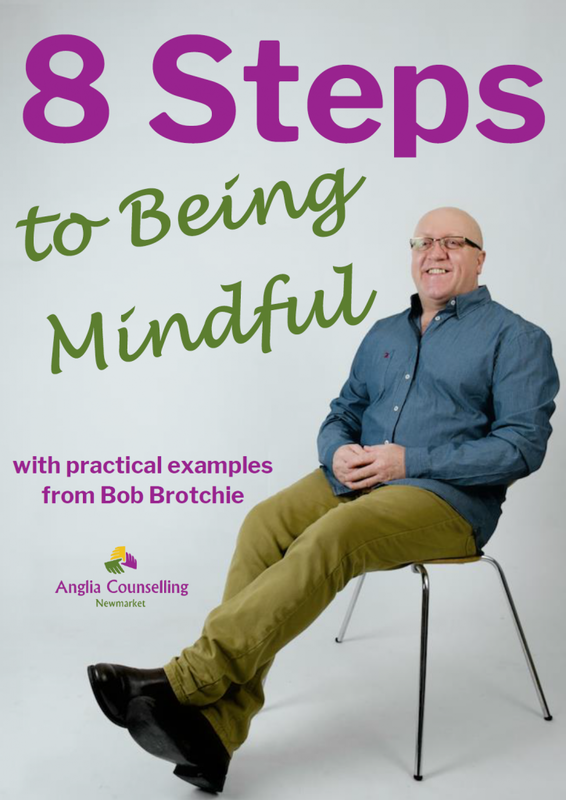 Talking to those I attended and subsequently met, about their suicidal ideation or incomplete attempt, almost all stated that just prior to carrying out their ‘plan’, they felt at peace. They had, it seems, let go or let be what was troubling them so desperately! Horrifyingly, could it be because the social exposure and conditioning around what suicide is supposed to be, seems to say… “If you’re going to carry it out, carry it out!“? So, I invite anyone who should ever find themselves contemplating suicide… be aware that you can ‘let go’ or ‘let be’ – AND then reorganise your thinking and beliefs around just what seems to be overwhelming, and what isn’t. You are not your overwhelm, thoughts, or emotions. In sharing personal episodes from my past, I hope to encourage a movement for any others who have considered suicide, no matter how deeply, to share. #JustTalk… Why? Because my peers and I are always saying there need not be stigma attached to suicide. As a counsellor, some realise that many of ‘us’ have walked the fires and have been broken. BUT in learning to find a level of peace, acceptable for living with less suffering, we would wish to share this ‘gift’ with those still on the path as it’s these emotional scars that make us more resilient today. Even though some appreciate their counsellor may have experienced the very same as they have… sadly, some think ‘we’ should not have been ill – ever! Perhaps believing, that ‘we’ in the caring professions are ‘invulnerable’ – oblivious to the pains and impermanence of life. However, we have chosen to make use of the gift that suffering can provide! There is compelling evidence, for those for who suicidal ideation becomes closer to reality, that reaching out and sharing, verbally, makes a significant and positive difference. If you feel unable to talk to loved ones or friends, you don’t even need to be at “that point” to talk to the precious volunteers prepared to listen to you; volunteer organisations such as the Samaritans who are there for us… for you! Great advice and guidance can also be sought on Twitter from ZeroSuicideAlliance and remember you can always check in with your doctor. 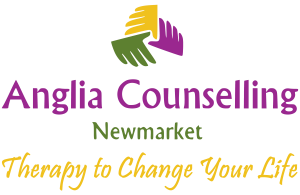 Added to this, you can consider a trusted counsellor to gain the skills for dealing with those most powerful beliefs, emotions and behaviours arising from the situation you find yourself in.